With the Total Thunderbird Converter Pro you can convert emails from your Thunderbird email client into lots of different formats using our customization tools. For instance: need to convert MBox to DOC? Looking to save space by archiving older emails? 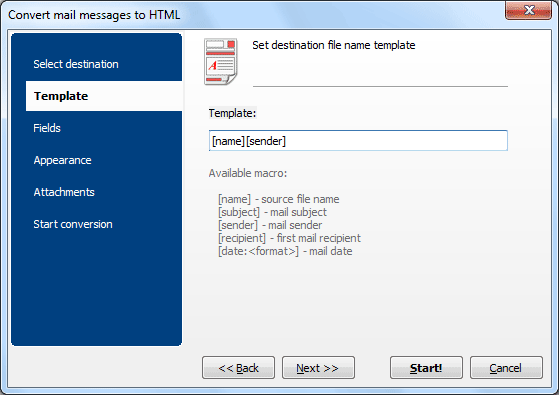 Would you like to convert your emails into a format that's more convenient for sharing? No problem! We're here to help. 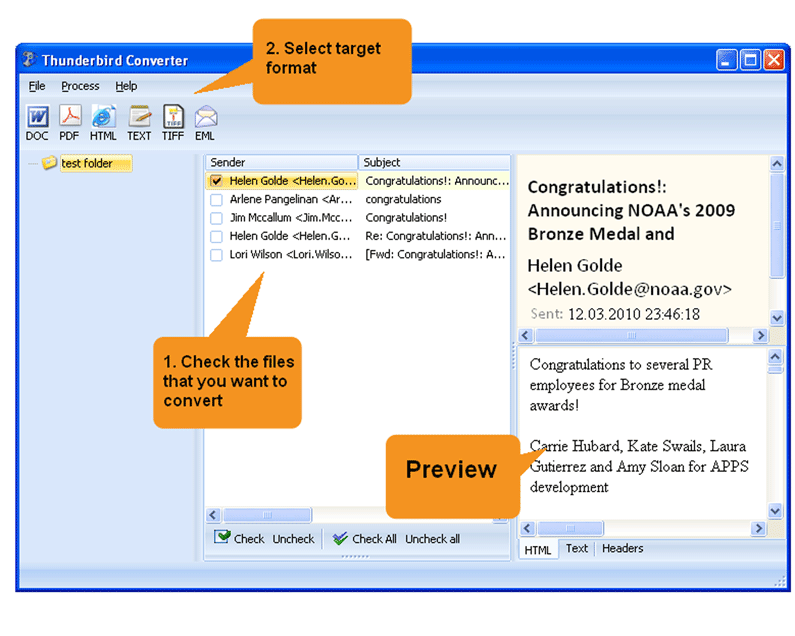 With our user-friendly converter it's possible to convert MBOX to Word in a few quick clicks. 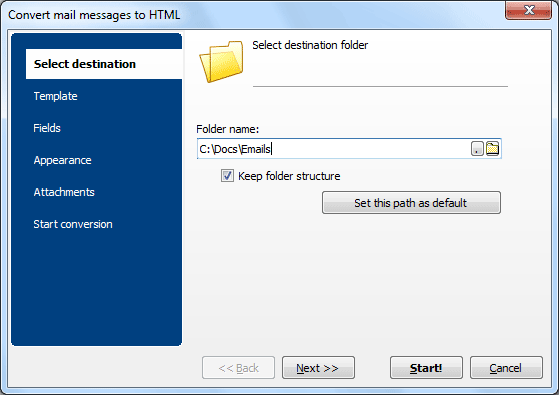 The Thunderbird Converter Pro lets users convert email attachments or leave them in their original format. Let's imagine for a second that you have an email with a PDF attachment. Our converter not only lets you save MBox as DOC (the email body), it can convert the PDF to DOC too! If you'd like to leave the attachment in PDF form, this is an option as well. Designed to help you organize, prioritize and simplify your work, Thunderbird Converter Pro is loaded with cool options. Why simply convert your emails when you could make them even better in the process? Rename attachments (to associate with parent email). Whether you're an advanced user or a beginner, with our MBox converter you'll be able to automate tasks saving you time and money. For users that like to really dig into the code, we offer direct access to the command line. Not sure what all those commands are? No worries! We've included an option that automatically creates a BAT file for you. While other converters might claim to be the best, none of them offer you the flexibility that we've built into the Total Thunderbird Converter Pro. Get started today with our free trial download. With support available in 13 different languages and a variety of MBox conversion formats (HTML, PDF, TXT, Excel, TIFF and more) we think you'll agree that this is one cool utility.